Experience The Coming Together Of Luxury And Leather Crafting With Tohl! Tohl boasts of an exclusive collection of pure leather bags. They work with a wide variety of handpicked leathers, treated with artisanal respect using processes that meet international standards. From fine textures of silky suede’s to glossy metallic finishes and embossed leathers featuring exotic prints and colours, the catalogue comprises of versatile products with a global aesthetic! Their products are manufactured by The Sac and Satchel Company which exports leather bags and accessories to Europe. They house an exciting range of products ranging from women’s wallets, clutches, office bags, shoulder bags, slings, cross body, totes, bucket bags to name a few. You can also gift a friend a luxurious Tohl by availing of their gift card option! 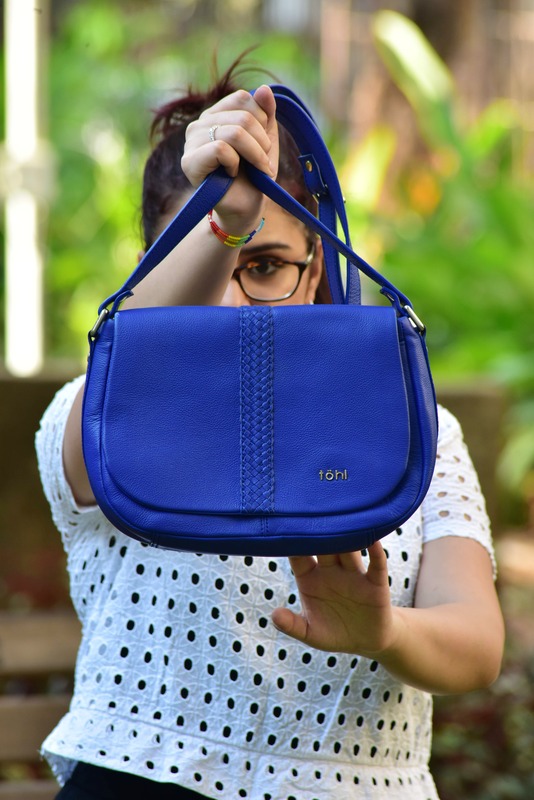 Seen above in the picture is their Tohl Cara women`s sling bag in a beautiful cobalt blue!